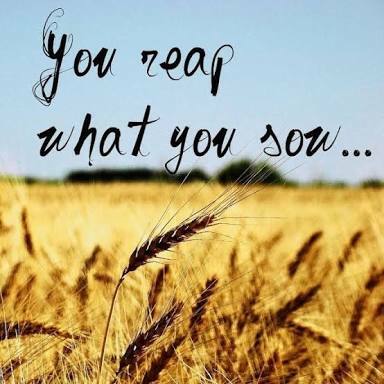 Reaping what you sow is one of the laws of nature. You can NEVER harvest one thing when you have planted something else. You don’t get lettuce by planting spinach. The seed you plant basically determines the fruit you get. Marriage is a lot like that- we never get out of marriage what we do not put into it. It’s no wonder he is losing. The seed he planted, neglected, grows of its own accord. It grows wild. Untamed. Far from being a safe haven. Many people loose at home because they do not invest in their marriages. They spend majority of their time at work and when they leave work, they are still working. Their focus is on their work. They plan for the office but they don’t plan to have successful marriages. They don’t value their marriages. They have misplaced priorities. They refuse to take care of the garden God has placed them in- their homes. Leviticus 25:5 says, “Don’t reap what grows of itself; don’t harvest the grapes of your untended vines.” You shouldn’t expect to reap goodness from a plant you have not given goodness. Care or lack of care of the plant will affect the quality of your fruit. For instance, if you refuse to wet your vegetables, expect shriveled leaves for harvest. That, though, would not change the name of what you harvest still. So, it’s still about the seed. If a business goes bankrupt, the president or chairman of the board is held responsible. Similarly, if our homes fail, you and I are responsible for the damage in one way or another. We must master the ageless art of leadership and apply it to our families. If we hope to win at home, then we must consider what kind of harvest we want in the end. If we plant seeds of commitment to Christ and to one another, along with seeds of forgiveness and respect, we might well expect that God will grant us a great harvest. Give quality time to your marriage. You want beautiful flowers? Take time to prune your plant. Plant quality seeds. Weed your farmland. 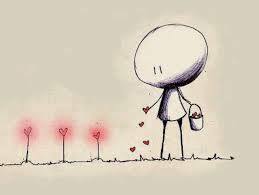 Tend your garden of love! May God grant grace that we may yield to His admonition for us today in Jesus’ name!